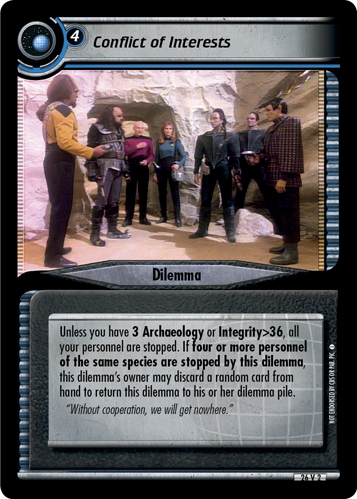 When your opponent reveals this dilemma, he or she may discard a personnel from hand to add 5 to each of this dilemma's attributes requirements (or add 10 if that personnel was an Android). 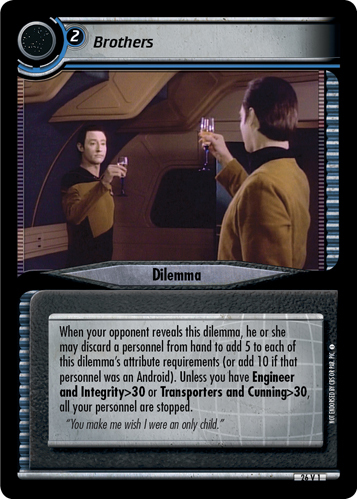 Unless you have Engineer and Integrity>30 or Transporters and Cunning>30, all your personnel are stopped. "You make me wish I were an only child."